NYRB Classics has delivered what I think is one of its best offerings yet with this book, which, in a word, is outstanding. It is also one of the best books I've read so far this year, and I put it down only when necessary, each time grudgingly so. "travel by by way of the Mediterranean to Constantinople, and thence through Egypt to Arabia Felix, and subsequently return by way of Syria to Europe; they will on all occasions seek to make new discoveries and observations for the benefit of scholarship, and will also collect and dispatch hither valuable Oriental manuscripts, together with other specimens and rarities of the East." 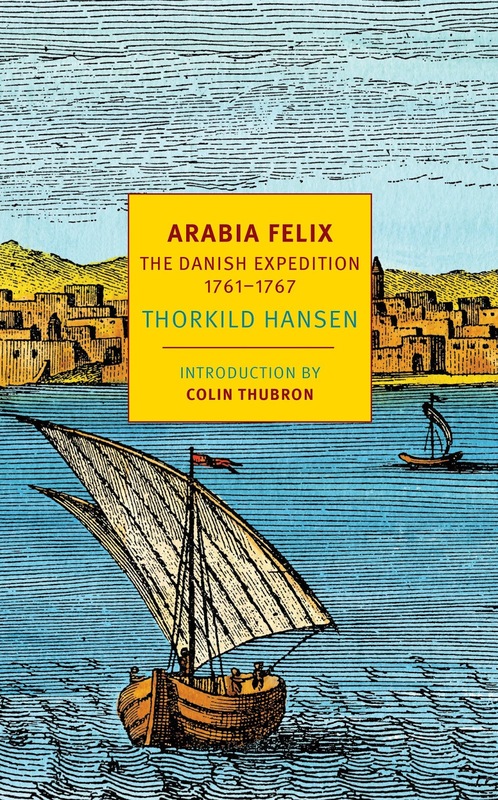 This undertaking was the first of its kind for the Kingdom of Denmark; it was also of great interest to Europe as a whole since this was to be a journey into Arabia Felix, or what is now known as Yemen, which at the time was "a corner of the world unknown to Europeans." 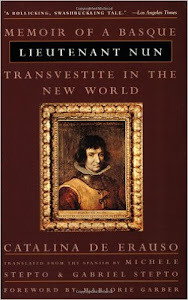 As Colin Dwyer notes in his review at NPR, this expedition was "King Frederick V's chance to make his own splash in the era of the Enlightenment," drawing on not only this period's focus on science, but also on "the enthusiasm for foreign and particularly Oriental lands." What the press didn't know was that this small group had already been "riven by bitter dissension" even as they had been rowed out of Copenhagen a week earlier; later on, this discord among these people would come to a head when they realized that one of their number had purchased arsenic, adding fear and distrust to the already volatile mix. That story alone makes for compelling reading, but there's so much more to keep readers turning pages. 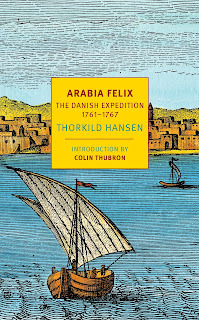 Arabia Felix follows this remarkable expedition from its origins through its end in 1767, with the return to Denmark of only one survivor who, as the back-cover blurb notes, found himself "forgotten and all the specimens that had been sent back ruined by neglect." While I won't go into any detail here, Arabia Felix turned out to be a gripping read, full of adventure, tragedy, a number of nail-biting moments, and even humor. The author also reveals how many of the discoveries made on this expedition would come to have great significance for scholars in several fields to this day -- as just one example, the inscriptions painstakingly copied by Carsten Niebuhr at Persepolis were so well done that later scholars built from them, eventually solving the "mystery of the cuneiform script." Speaking of Niebuhr, his amazing story alone is well worth the price of this book, not to mention his often-comical adventures with his trusty astrolabe. I can't begin to express how much I loved this book. I bought it looking forward to the story of the expedition, but I was not expecting what I found here. Arabia Felix is a very human story in which Hansen gives the men their due, bringing each of these people vividly alive both individually and collectively in terms of the group's dynamic. But it's not just that. Working with a variety of sources, the author manages to bring everything to life -- the successes, failures, miscommunications, misunderstandings, mistakes, and ultimately, what these people sacrificed in the long run to complete their given mission. The tragedy of their stories having been long forgotten is beyond rectified here, and delightedly so. Kudos to NYRB for publishing this book.